When hiking for more than a day in remote areas I, like a lot of other hikers, find energy a problem. 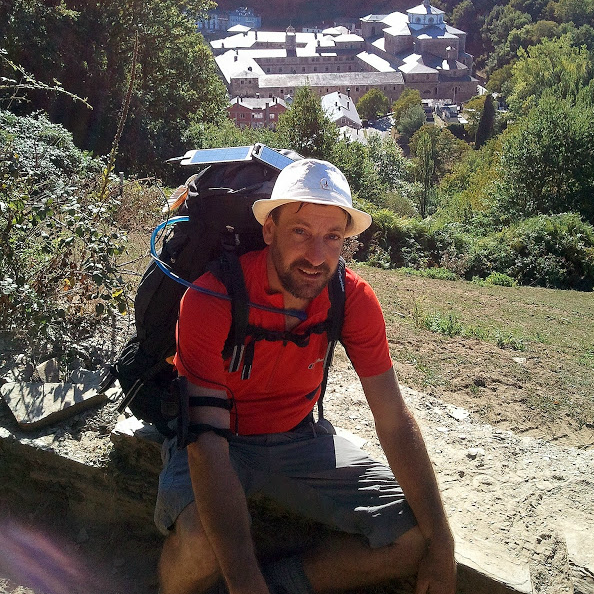 Not the energy to hike (although my 28 day 500 mile hike across Spain in September 2012 might challenge that assertion! ), but rather the energy to power my electronic devices. I am one of those hikers who like to have certain electronic devices with me when I hike such as SPOT Connect, a satellite tracking device primarily for safety reasons, but also to link to my Social Hiking – Share Your Adventure! account so family and friends can track me live as I hike. I also take a head torch with rechargeable battery, my mobile phone, spare battery pack and a Blu-max Data Recorder which I use to record my routes as a GPX file. All these electronic devices need power to run and my solution is to use solar power whenever possible. 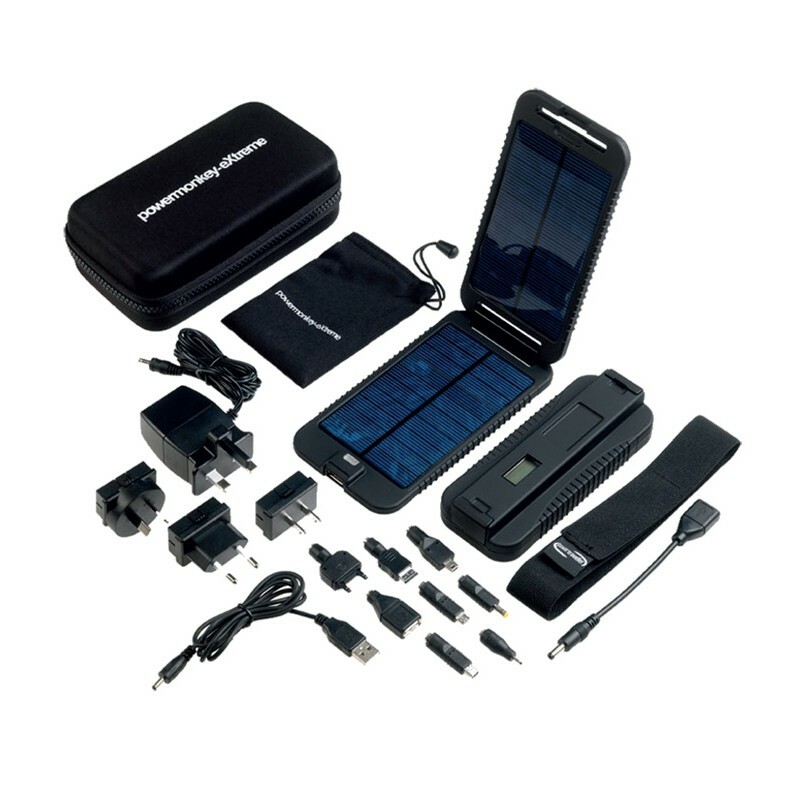 My current solar panel/battery pack system of choice at the moment is the Power Monkey Extreme by Powertraveller. I have used this solar panel since 2011 and am very impressed with its light sensitivity and quick energy conversion, however I had a problem with mounting the solar panel to my backpack to catch the sun effectively. 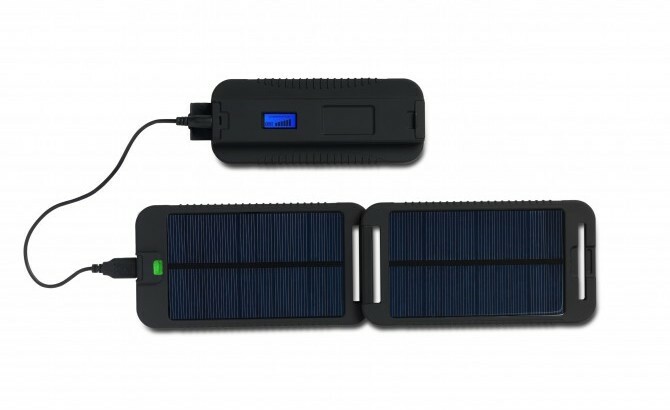 You’re probably thinking, ‘Just attach the solar panel to the back of your pack like most people do!’ right? Well I did, but there is an obvious problem with this. When walking into the sun you create a shadow which falls over the solar panel. Now as good as the Powermonkey Extreme is in sunlight (and even in cloudy, but bright conditions) at generating power, it is, like all solar panels, pretty useless in the shade. I spent many a hike moving the solar panel from front to back, either attached to the back of my pack or to the shoulder strap at the front of my pack depending on where the sun was in relation to my walking direction trying to keep it out of any shade I created. I simply wanted the best performance out of the panels to charge either the power pack or, by connecting directly, my mobile phone. The problem with all this swapping about, apart from time consuming and down right annoyance was I had to keep adjusting the power cable between solar panel and the power pack it was charging too! I wanted a simple solution to this niggling problem. I knew that the answer was to keep the solar panel ‘high’ enough so that I couldn’t cast any shadow over it. Now I am known for missing the obvious. The term ‘blindingly obvious’ could have been coined with me in mind! I first rigged up a system that allowed the solar panel to sit over my shoulder, but not only was this uncomfortable, the design of the panel doesn’t allow it to fold ‘backwards’ – it only folds in the direction required to close it (see pics below) thus meaning I had a large protrusion ‘growing’ out of my shoulder which restricted movement. My next thought was to mount the panel to a hat! My friend soon put paid to that idea saying I would look like a ‘plonker’ and refused to hike with me if I did! Fair point! And then it struck me. I know, I know! Obvious isn’t it? 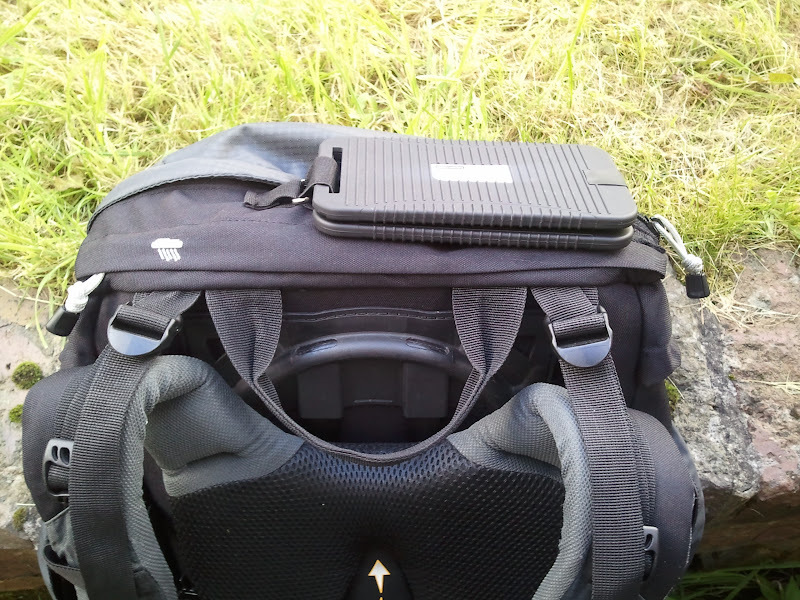 However I had tried to do this before, but just couldn’t find a way to secure the solar panel to the top of my pack. The panel itself is only supplied with an, albeit tough, elasticated velcro strap that is fine for attaching to webbing on a backpack or looping through a grab handle etc. and although my own pack has more webbing, loops and straps than your local haberdashery I just couldn’t get the solar panel to stay in the position I wanted it to. (see left pic below). I needed custom anchor points on my pack! In the first picture you can see the solar panel of my Powermonkey Extreme lying nicely across the top of my Berghaus C7 Series 1 backpack. In the second picture you can see two webbing anchor points I stitched to the top of my pack where the packs rain cover is housed. I didn’t want to stitch anything to the top pocket cover of the pack as this could compromise its waterproof capabilities. You can also see how the elasticated velcro strap that came with the solar panel is used to fix it to these anchor points. (click the image to enlarge it or click here for more detail.The third picture shows the solar panel in its closed position and I can open and close it whilst the pack is on my back. Handy if it rains or I simply don’t need solar charging. Keeping the panel closed helps protect it when not in use. Finally, in the last picture on the right you can see the solar panel connected to the supplied Extreme battery pack which is attached to the right shoulder strap of my pack. In this position I can attach my mobile phone, head torch or Blumax Data Logger easily to the battery pack should I need to charge either whilst hiking. Problem solved! ...on Gear, My Thoughts power, Powermonkey, solar. permalink.